raccoon, muskrat, beaver, otter, skunk, and opossum. Dogs can be used in the field but reference the Fur Bearers Digest for a full breakdown of regulations. From an ecological standpoint, people that hunt and trap these fur-bearing species aid in the natural system of predator/prey relationships. Regulations are set based on furbearer populations that are monitored by the Department of Natural Resources. Each species plays a role in the ecosystem and is granted that respect. Regulations are put in place to ensure that the population of each species remains sustainable. Engaging in either trapping or hunting of a furbearing species is a great way to dive deeper into the true process of nature. There are many lessons to be learned when you find your boots on the ground thinking like one of these species. You discover the meaning of their existence and how their surroundings affect them, and how they affect others. You find yourself thinking like them in the same fashion as when you hunt deer, turkey and other species we would consider the norm. Another notable feature – trapping and hunting these species seems to bring people together of all ages. Furbearer harvesting not only figuratively connects us to our past, it literally unites the young, old and everyone in between. 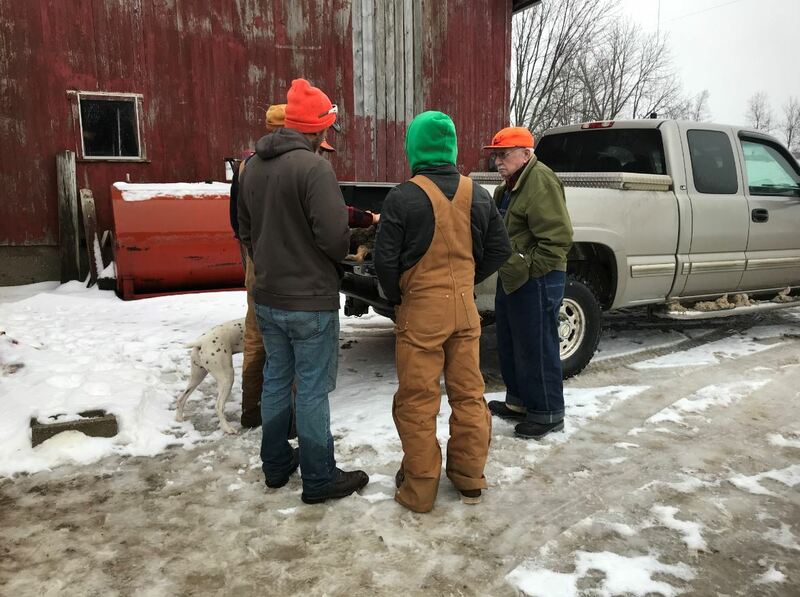 A coyote hunting group in Shiawassee County after a successful hunt. Trapping is an activity that requires attention to detail and an incredible amount of responsibility. Anyone interested in hunting and/or trapping activities should review the most current Fur Harvester Digest before participating. Some wildlife cooperatives have included predator hunting in their annual plans as comradery opportunity along with its benefit to the wildlife community. 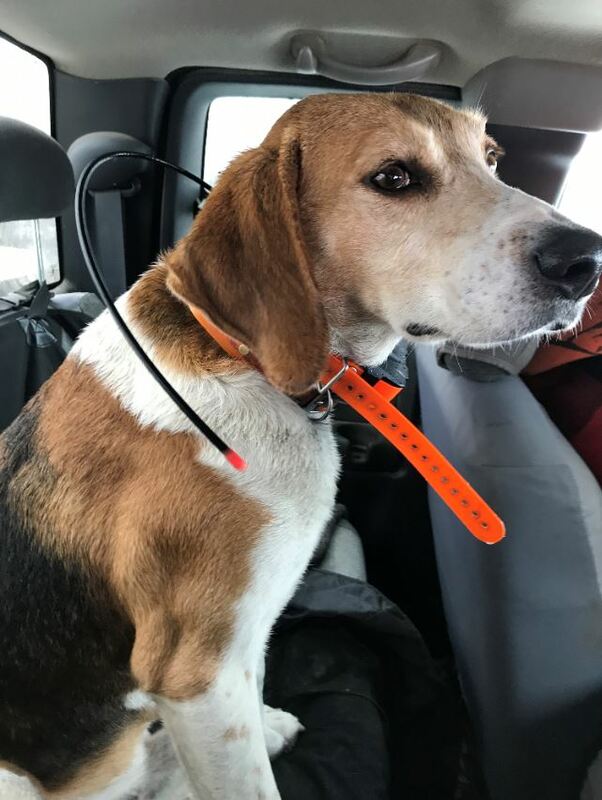 Harold Wolf, President of the Southern Mecosta Whitetail Management Association (SMWMA), says that these hunts serve as a chance to hunt with low stress, remember the common ground that the group was built on and get kids out in the field. SMWMA hosts approximately 5 events a year that do not surround deer hunting but aim for community engagement within the cooperative. This year, a coyote hunt was held. 10 adults and 5 youth participated. While not a fundraiser, the group had some fun by collecting money for a 50/50 drawing, had various door prizes for participants, and enjoyed a chili lunch. Harold said that events such as the coyote hunt keep the cooperative interactive and enjoyable. 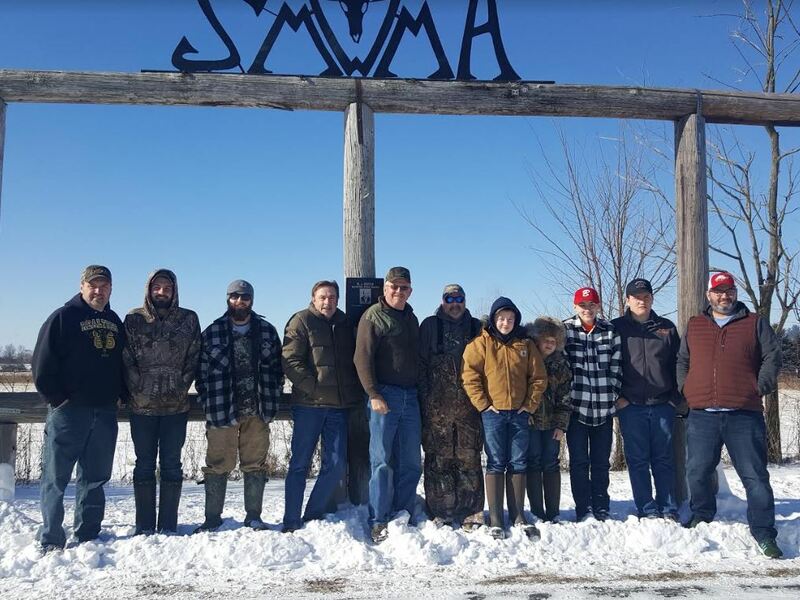 SMWMA after completing their 2019 coyote hunt. What do you look forward to doing in your ‘offseason?’ Whether it’s habitat work or hunting another species, it’s never a bad thing to be active in the outdoors and wildlife management. I’ve recently took up trapping again. Deer hunting just doesn’t do it for me anymore. Next year I plan on filling my tags as fast as possible and then getting my trapline going. Is there a species you primarily trap for? Cool to hear you’re getting back into it!